The larger the dwelling the more storage space people have that is why the amount per room increases with the size of the house. The above information is a guide for pricing. 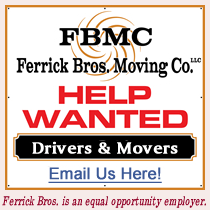 Every job is different and for an accurate price on your move please contact Bob Ferrick at 1-978-225-0158.